In 1948, three years removed from the end of Nazi terror and the murder of 6 million Jews, the State of Israel was born. Every year we remember the souls who lost their lives in defense of the Jewish state. But just as many days of sadness ended in 1945 with an eternal moment of celebration in 1948, so too every year we celebrate Israel’s independence the day after we remember those we lost. 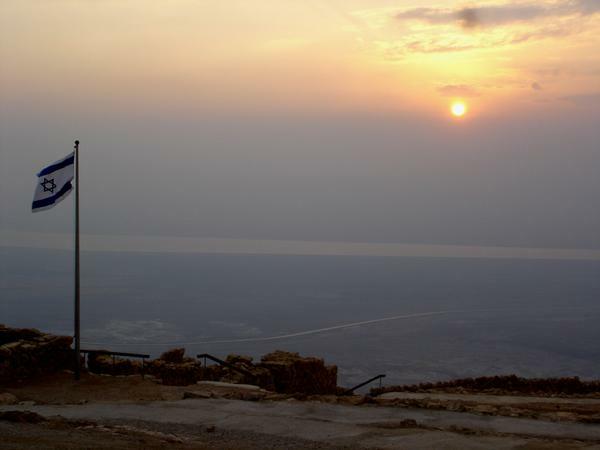 So for me, nothing signifies the strength of the Jewish people more than an Israeli flag at sunrise. For when the sun sets on the Jewish people and the world becomes dark, the sadness ultimately passes and the sun rises once again. Happy Birthday Israel! Consider this my message to you on your Facebook wall.